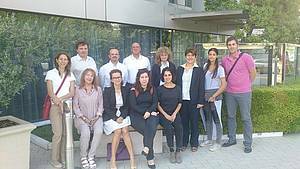 The Smart GEMS kick-off meeting was held in Athens on 24th & 25th of September 2015. The meeting was initiated with a brief introduction from all partners and followed by presentations of the project activities by consortium partners and fruitful dialogues on all key issues. Project management was discussed and specific actions were agreed to ensure operations effectiveness, robust communication and high quality standards.